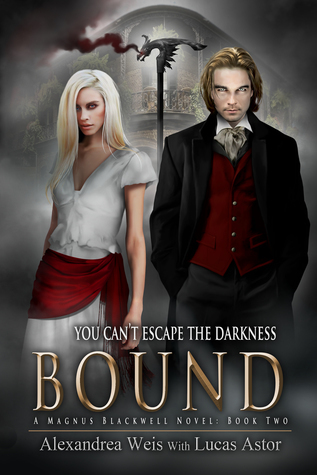 Welcome Alexandrea Weis author of Bound. Enter to win a $25 Amazon gift card. Why did you write this story? This story was given to me as a two-page outline which became the prequel Blackwell, and part of Book 1, Damned, but I added the New Orleans and voodoo elements and added characters and explored the darker aspects of Magnus Blackwell not in the original outline. What’s your favorite fiction character and why? James Bond. Multidimensional character in the book with lots of levels. Panster all the way. I never plot in depth. Has your views about writing and publishing changed since you’ve released your book(s)? If so, what’s changed? I have learned so much about this business since I started 11 years ago. My views on writing have not changed. 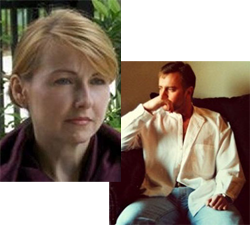 Good writing and a good story will always stand the test of time, but the publishing business is always changing. It’s hard to keep up with the trends, or many moods of Amazon, but I have learned to go with the flow more than to get anxious about it like I used to. 32. Some will be published over the next two or three years, some still need work. I write a lot. I am a permitted and certified wildlife rehabber with the La. Wildlife and Fisheries. When I am not writing, I rescue orphaned and injured wildlife. Animals are my other passion.